It’s that time of year when we are getting ready to embark on another school year. Going back to school can be stressful! To overcome fears, talk to your child about his feelings. In addition, there are several steps a parent can take to make the transition easier. 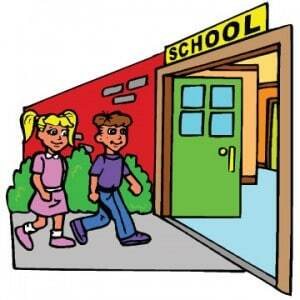 Schools require a physical examination and a record of immunizations. This requirement provides a significant benefit to the new student because a healthy child is one that is ready to succeed. Any unaddressed health issues can be detected and treated, which will make a child’s entry into school much easier and potentially reduce the number of absentees. Don’t forget to have your child’s vision and hearing checked. Both of these issues can often be easily remedied. If left untreated, these problems can have a serious impact on the child’s ability to learn. A dental checkup is also recommended prior to entering kindergarten as well as regular check-ups. By the time a child is ready for school, she should be eating a variety of foods. Healthy food choices will supply the body with the correct amount of vitamins and nutrients, enabling the child to concentrate in class. Fruits, vegetables, whole-grain breads, milk and adequate protein are vital for growing bodies. Teach your child to fuel their body with child-sized portions of healthy foods. Most five-year-old children require 10 to 12 hours of sleep. In school, the child needs to be alert and inadequate sleep will limit concentration. Establish a routine for going to bed at a certain time and for waking at a desired time. This should be done before school starts so the child can adjust to the schedule. Make going to bed a pleasant experience by creating a routine that helps the child relax. My family enjoys reading books; we gather in my son’s bed and read for 15 to 20 minutes. We find it’s the perfect ending to our hectic day. Encourage your child to play actively every day. Play games with your child like tag or hide-and-seek. Throw a ball or go to a neighborhood park to play on the playground equipment. Go for walks or run in the park. My family enjoys riding bikes. My daughter just learned how to ride without training wheels so she is always eager to go for a bike ride.